Tlicho author Richard Van Camp had an epiphany when he was in kindergarten in Fort Smith, N.W.T. "There we were in French class, I was five-years-old and we were learning 'je m'appelle Richard,' and I remember feeling everything inside of me crystallize with the realization that this was wrong," Van Camp said. "And I remember thinking in this panic, 'Why isn't there a Bush Cree class, or why isn't there a Tlicho Dene Dogrib class?' I want to be there 'cause I'm brown and I'm Dene and I want to be with others just like me because I want to learn my language so badly." Van Camp said his mother spent 12 years in residential school, and he wasn't taught his language as a child. Looking back, he recalled having to have all conversations with his grandparents translated through his mom. 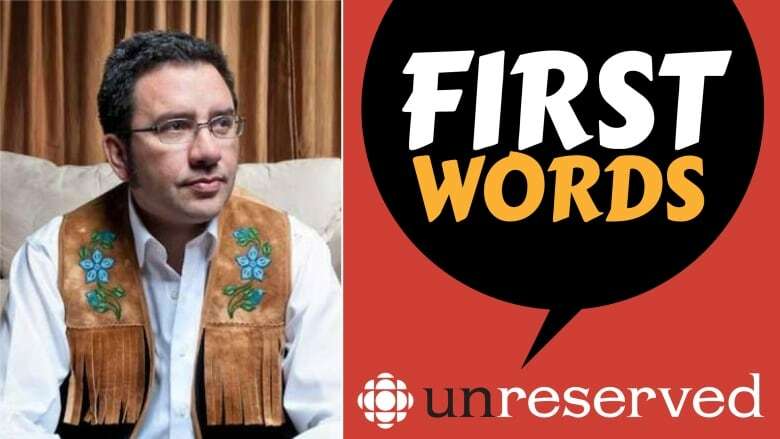 He has since learned much of the Tlicho language and picked up words in Plains Cree, Bush Cree, Inuktitut and Chipweyan to share with his young son, Edzazii, whose name was inspired by the Tlicho word for bone marrow. "I've devoted my life to honouring what it means to be Tlicho Dene, what it means to be from Fort Smith, what it means to be a Northerner," he said. Van Camp has written more than 20 books and has had several of his books translated into other languages, including Tlicho, Bush Cree and South Slavey. It's a small part of his commitment to Indigenous languages. "What I've committed myself to is using as much of the language as I can every single day," Van Camp said. "We want for our son, every day, to hear Tlicho Dene, Bush Cree, Chipweyan."